There is a new challenge up over at Kitty Bee Designs‘ bi-weekly challenge Aloha Friday with a fun new Theme. 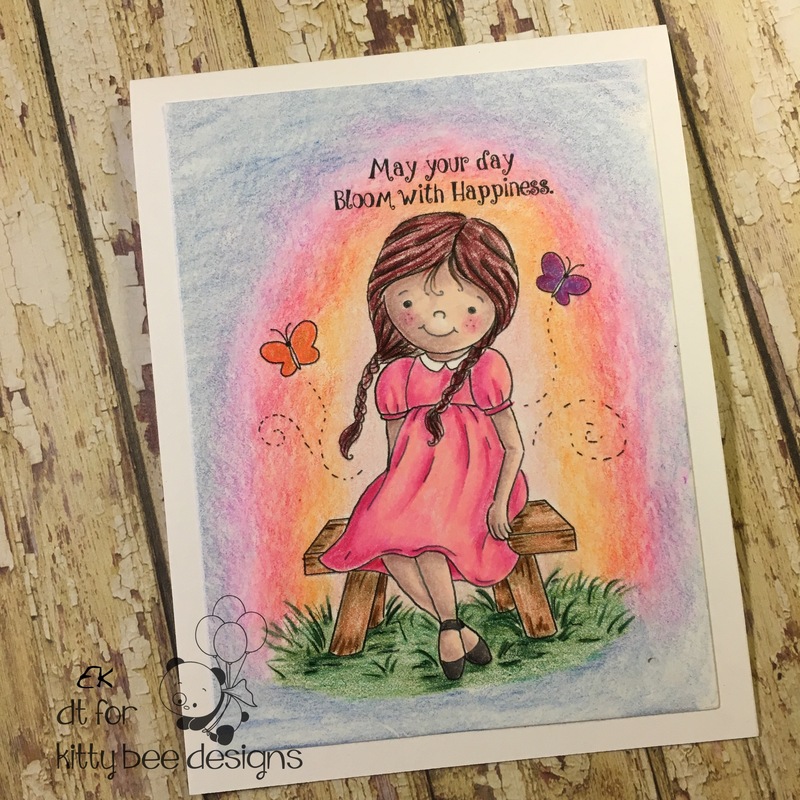 If you remember the last challenge was ‘For The Guys’…well this time it is Girly Cards! Seriously loving the chance to get to play with super girly cards this week! This week I am playing with the cute digital stamp from Fred She Said Just Emma. I pulled out my colored pencils and gently colored the image. Previous Buzzin’ By to Say…Hi! !